This large 43mm. 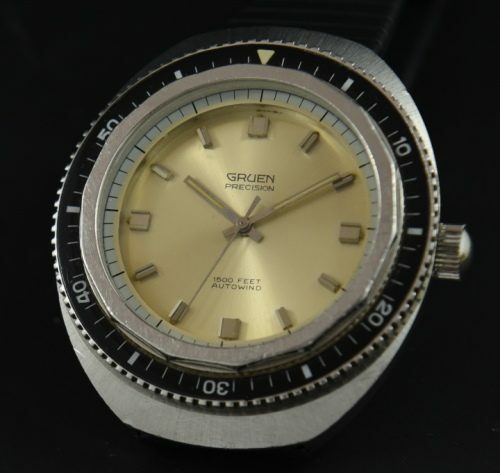 stainless steel 1970’s GRUEN dive watch are housed in a robust steel tonneau shaped case with screw down crown, mineral glass crystal, turning bezel and rubust 15mm. thick screw-back case. These watches housed an automatic GRUEN precision movement which is quite reliable. This particular movement was just cleaned and is accurate. 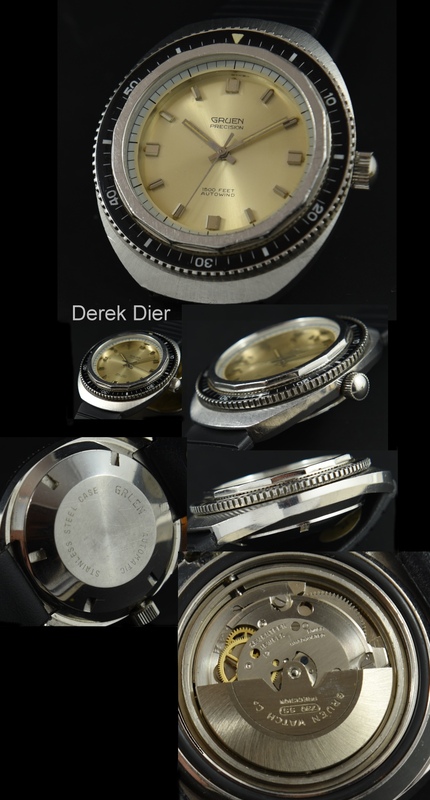 During the time these watches appeared, the ROLEX Submariner was good down to 660 feet, these GRUENS could go to 1500ft! These are great value.